Are you ready to go cruising? You probably think you are! However, take a break from the fantasy cruise running through your mind. It’s time to think of a few sensible matters to ensure you have smooth sailing from the get go. A few months before you go on your cruise, you might want to touch base with your travel agent to see what type of identification you need for your cruise and ports of call. 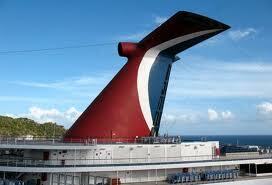 If you did not book through a travel agent, call the cruise line itself to confirm your identification needs. Sometimes, you just need your United States Driver’s license. However, often times you will require a passport. Get all your identification together that will be needed for travel. You should make sure you have a valid passport. If it is to expire soon, get it renewed while there is still plenty of time to do so. If you apply for or renew your passport at the last moment, you will pay a lot of money to get it expedited. Make sure to check with your travel agent or cruise line to see if any visas are needed for your ports of call. If so, you will have to fill out applications to start that process. About a month to month and a half before you leave, make sure your payments are current for your cruise. Sometimes, if you do not pay the remainder of your cruise tickets in a timely manner, your reservations could get cancelled with no refund on what you did pay up to that point. Start planning what you will pack. Try on clothes to ensure they will still fit. This is not the time to diet and try and lose ten pounds! By planning your wardrobe early, this will give you time to go shopping. Rushing around at the last moment makes for frazzled nerves and you want the experience to be smooth. If you have children who are not going with you, make sure their temporary guardian for that time has their school schedules. Write permission notes for your children’s schools to ensure that they can be picked up by someone other than you. If your house will be empty while you are gone, arrange for a neighbor to pick up your mail and water your plants. Set timers on your lights to make it look like someone is home. Have the neighbors feed your pets or arrange a pet sitting service or kennel. A few weeks before the big day, have your hair cut or any other personal services done. Check to make sure your luggage is in good shape or decide if you should buy something new. Baggage tags should be labeled properly and in a legible print. Go over your cruise documents carefully to look for any inaccuracies like the spelling of your name or a different cabin or deck than what you paid for. A few days before you leave, make two copies of all your travel documents, including identification, credit cards and traveler’s checks. Leave a copy for a trusted family member or friend should you run into any trouble. Keep the other copy with you, but separate from the originals. Refill any pertinent medical prescriptions and make sure you have plenty of batteries and film for the camera. By creating a to-do list a few months before and following it as needed, you should be able to accomplish everything you want including the care of your home, children and other necessities like your plants, pets and mail. This will keep you focused and ready for cruise time. Now, there will be no worries as you board for your adventure.